In an interview with Q Magazine last month, Vampire Weekend spoke of plans to release a new album this year. Frontman Ezra Koenig said the release would be “darker” and more “organic” than Vampire Weekend’s first two albums. “This third record feels like coming back home and taking stock,” he said. That was all the news offered apart from a tidbit about the album being produced between NYC and L.A. with Ariel Rechtshaid. More details emerged today, including the album’s title, track listing, and release date. 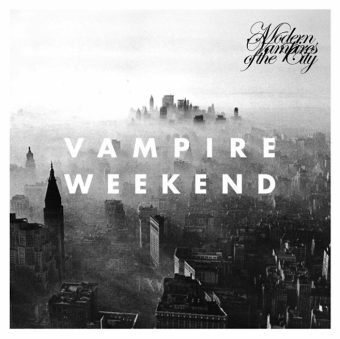 Modern Vampires of the City will be released on May 7th via XL. They had a fun way of announcing it, too. The NYC-based quartet instructed fans to check out the classified section of today’s New York Times under the ‘Lost And Found’ heading. There, one can find “Modern Vampires of the City, May 7, 2013”. Tweets from Vampire Weekend confirmed the title. Tour dates in addition to Vampire Weekend’s upcoming Coachella and SXSW appearances are below. Vampire weekend will definitely rock everybody’s socks once more! I honestly cannot wait until this album releases! I really hope they will go on international tour and go to the netherlands or belgium, since that will give me an opportunity to see vampire weekend live some day – that would be perfect!